Are you worried about the finances? With this guide, we provide directors with an outline to their obligations, what happens when your company faces difficulties or formal insolvency, and answers to the questions we often get asked. 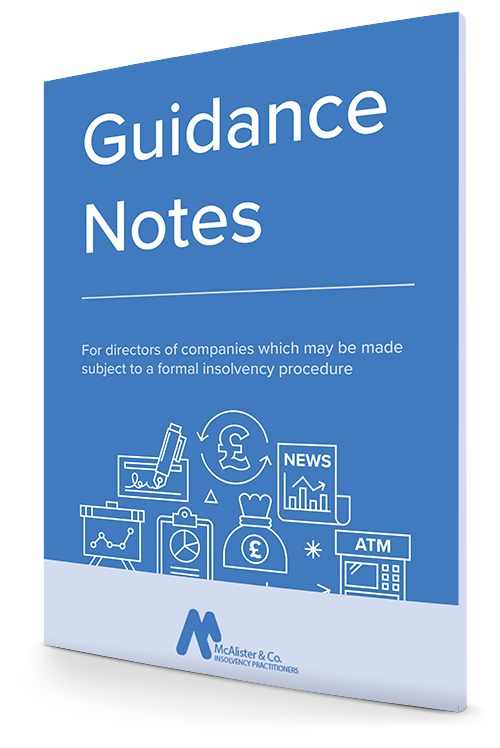 These notes have been prepared to give general guidance to company directors whose companies are about to be made subject to a formal insolvency procedure. Complete the form opposite to download a copy today in pdf format. Copyright 2018. McAlister & Co.